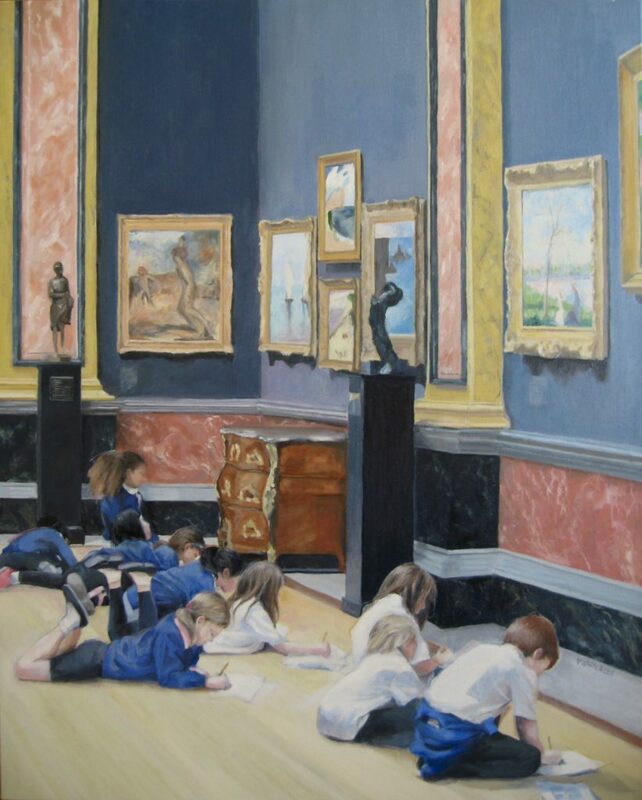 No matter what museum I am in, in any city, I will almost certainly see a group of school children visiting the galleries with their teachers and often a docent from the museum. 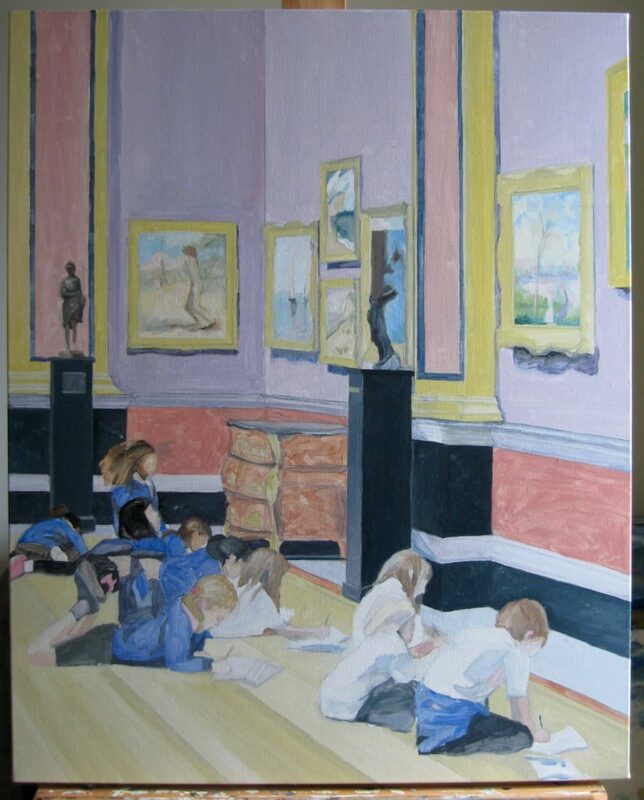 The Art Lesson just happens to be a scene I witnessed in the UK, at the Fitzwilliam Museum at Cambridge University. But it could have been at any great museum. The Museum itself is imposing, and when you enter you see cavernous ceilings, long halls lined in marble and a beautiful and eclectic collection of paintings. When I first walked in to this gallery of impressionist paintings, there was an energetic group of children loudly roaming all over this particular space. 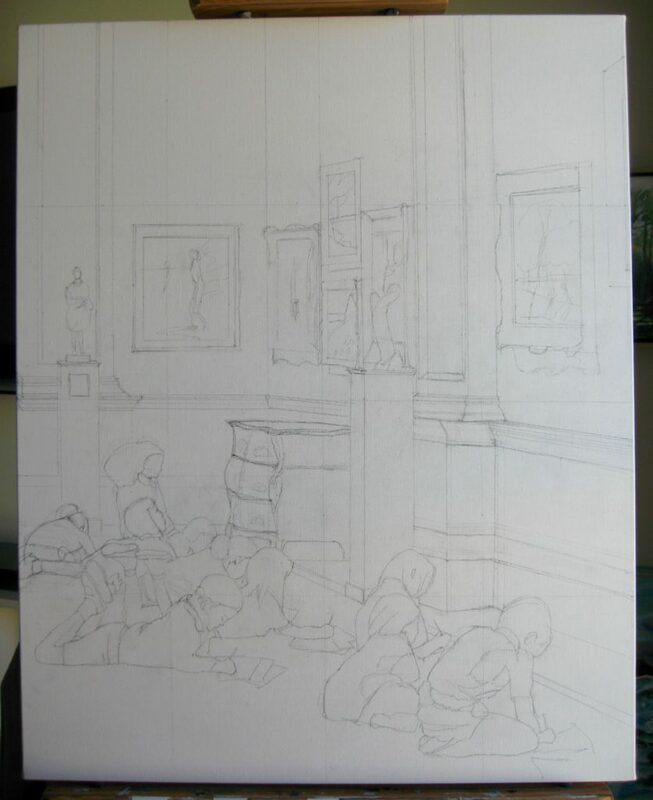 But they soon calmed down and took their place on the floor in front of the paintings. And there they stayed surrendering to the art. 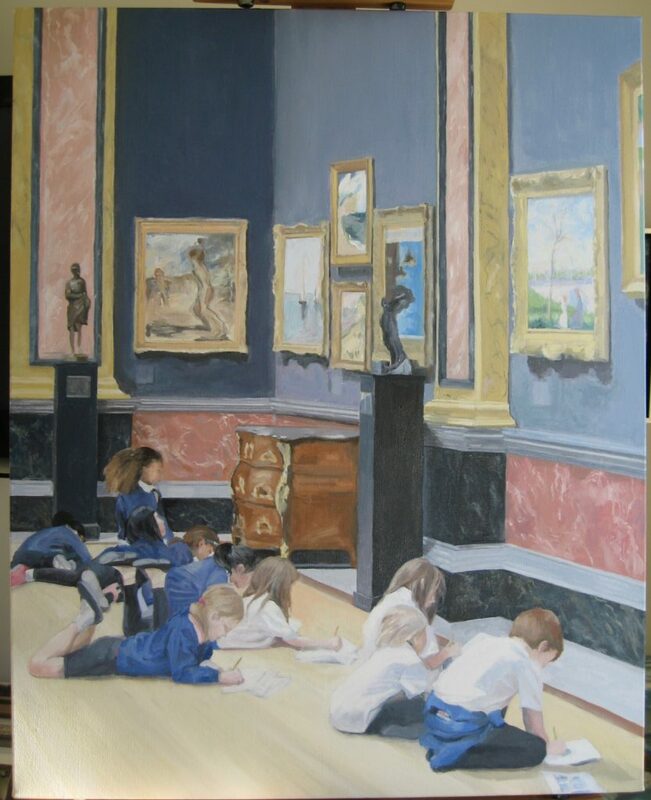 The casually relaxed children were clearly in stark contrast to the formal gilded trim and marble columns. But with a certain intensity, they finally found peace with their surroundings. I could relate to these children. 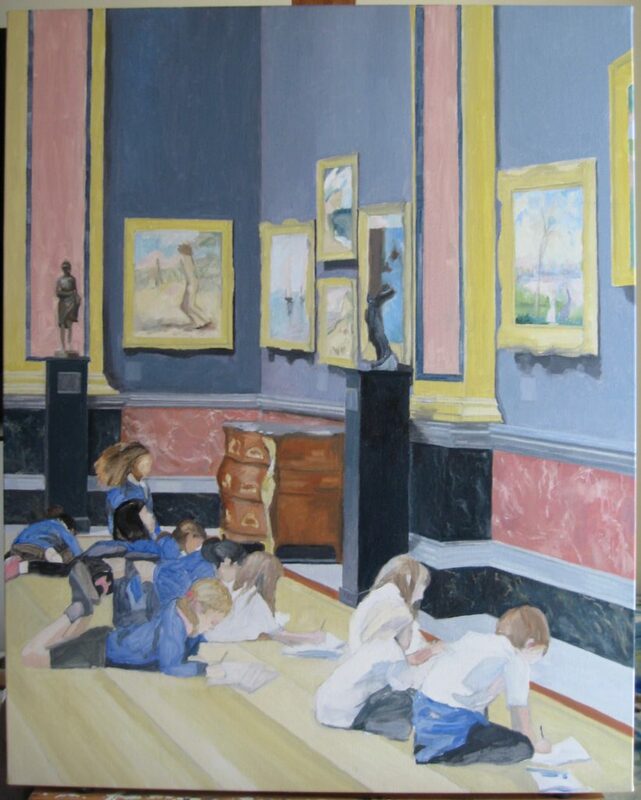 I have often wanted to sit on the floor in front of a great painting and just let the images speak for themselves.